"Don't let anything get in the way of your education." Marian went on to study at Spelman College, abroad on a Merrill scholarship, and she traveled to the Soviet Union with a Lisle fellowship. When she returned to Spelman in 1959, she became involved in the civil rights movement, inspiring her to drop her plans to enter the foreign service, and instead to study law. She studied law at Yale and worked as a student on a project to register African American voters in Mississippi. In 1963, after graduating from Yale Law School, Marian Wright Edelman worked first in New York for the NAACP Legal and Defense Fund, and then in Mississippi for the same organization. There, she became the first African American woman to practice law. During a tour by Robert Kennedy and Joseph Clark of Mississippi’s poverty-ridden Delta slums, Marian met Peter Edelman, an assistant to Kennedy, and the next year she moved to Washington, D.C., to marry him and to work for social justice in the center of America’s political scene. Marian Wright Edelman established the Children’s Defense Fund (CDF) in 1973 as a voice for poor, minority and handicapped children. She served as a public speaker on behalf of these children, and also as a lobbyist in Congress, as well as president and administrative head of the organization. The agency served not only as an advocacy organization, but as a research center, documenting the problems and possible solutions to children in need. To keep the agency independent, she saw that it was financed entirely with private funds. Marian Wright Edelman also published her ideas in several books. The Measure of Our Success: A Letter to My Children and Yours was a surprising success. In the 1990s, when Bill Clinton was elected President, Hillary Clinton’s involvement with the Children’s Defense Fund meant that there was significantly more attention given to the organization. But Edelman did not pull her punches in criticizing the Clinton administration’s legislative agenda — such as its “welfare reform” initiatives — when she believed these would be disadvantageous to the nation’s neediest children. 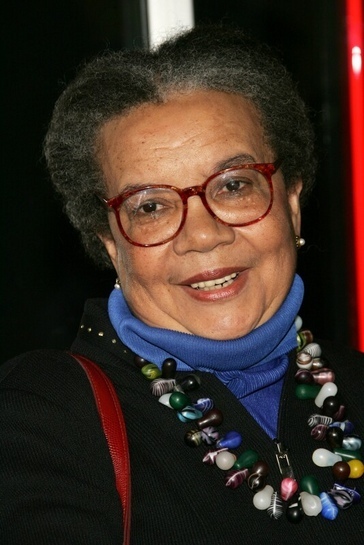 As part of the efforts of Marian Wright Edelman and the Children’s Defense Fund on behalf of children, she has also advocated pregnancy prevention, child care funding, health care funding, prenatal care, parental responsibility for education in values, reducing the violent images presented to children, and selective gun control in the wake of school shootings.